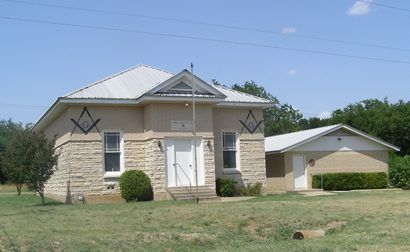 Bruceville and the separate community of Eddy both became stations on the Katy Railroad (the Missouri, Kansas and Texas) when it built through McLennan County in the early 1880s. Lucien N. Bruce became Bruceville's namesake when he donated land for the depot. The railroad connection drew population from Mastersville, a town that could ill afford to lose it. Soon Bruceville's population was approaching 30 - many of them coming from the doomed town of Mastersville. A Bruceville school district formed in 1904. 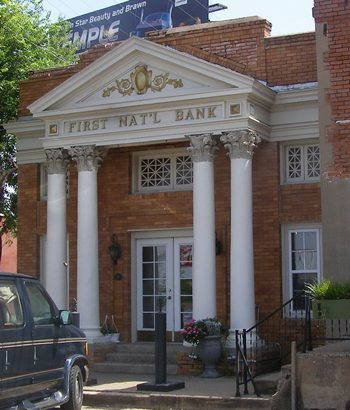 Banking in Bruceville was short-lived. Although a bank started in 1907, a drought, forclosures and unpaid loans caused it to close in the late 20s - even before the arrival of the Great Depression. Bruceville had a respectable population of 500 throughout the 30s and 40s. However after WWII, increased mobility allowed people to seek work in distant cities. The town declined by half in the late 40s and by 1970 there was only a reported population of 25 people. Clearly something needed to be done if Bruceville was to be saved from becoming a ghost. 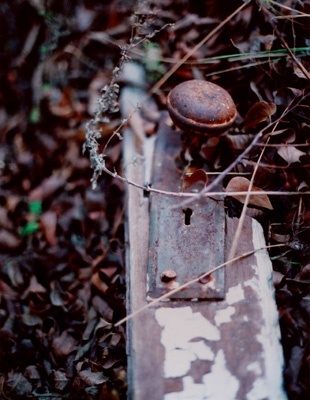 They found an ally in their neighboring town of Eddy - two miles distant. Before the Katy Railroad arrived, Eddy, Texas was Marvin, Texas. In 1883 railroad superintendent Everett B. Eddy had the honor of replacing Marvin (whoever that had been). Eddy was a little smaller than Bruceville - with 150 residents shortly after it was founded. Still, it was quite independent with its own newspaper and essential businesses. 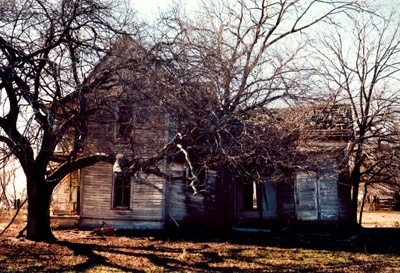 During the 1890s Eddy surpassed the population of its neighbor by several hundred. 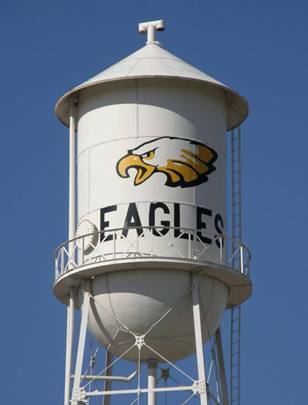 Bruceville and Eddy's future merger may have been fortold when, in 1928, the two communitees consolidated their schools - a first in McLennan County. Eddy's population was just under 500 in the 20s. By the mid-1940s the population was down to 350. With the construction of I-35 in the early 60s, commuting to Waco and Temple became easier. In the 1960s the population doubled to 600. The towns incorporated as one in the mid 1970s and the population rebounded to over 1,000 by the 1980s. Bruceville-Eddy incorporated in the mid-1970s and the population soon increased to over 1,000 people. It has since inrcreased to 1,490.